Risotto was one of the dishes that I have been putting off for a long time. I had some extra scallops in the fridge that I wanted to use for pan-searing so I decided to combine them both together to make pan-seared scallops risotto! So of course the main ingredient are scallops, and the best kind of scallops for pan-searing are the dry ones. When I say ‘dry’ scallops, I don’t mean dried out but not ‘wet’ scallops. 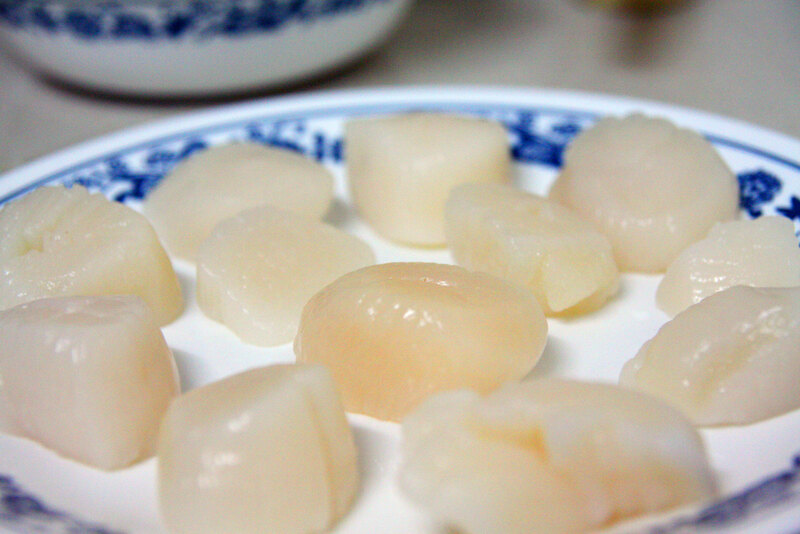 ‘Wet’ scallops have been chemically treated with phosphates as a preservative and a side-effect is that they absorb a lot of water, hence they look white and juicy. But when you cook them, all that water comes out, shrinking them to become rubbery and tough. That moisture also makes it hard to get a good pan-sear. ‘Dry’ scallops on the other hand are frozen straight from the sea and have this natural vanilla color. The lack of water content makes them easy to caramelize when searing, achieving that golden-brown look. It also means you actually get what you weigh for, instead of the extra water in the wet scallops. 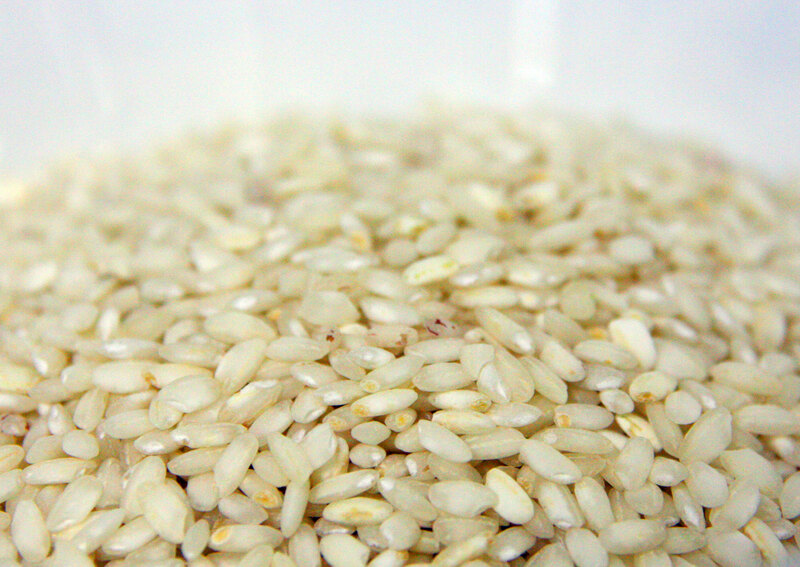 For the risotto rice, there are 3 main breeds of short-grain rice: Carnaroli, Arborio and Vialone Nano. The one I’m using is Arborio, a large and plump rice grain that is rich in amylopectin. Those are the starch molecules which dissolve during cooking to make a stickier risotto. 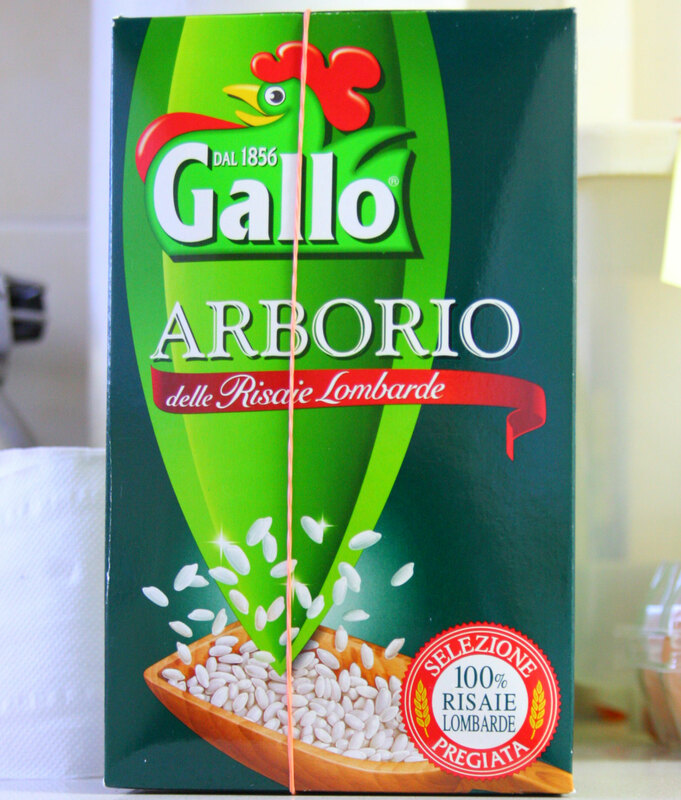 Arborio rice is preferred for the risottos made in Piedmont, Lombardy and Emilia-Romagna, which are also the risottos that are more commonly known to us. 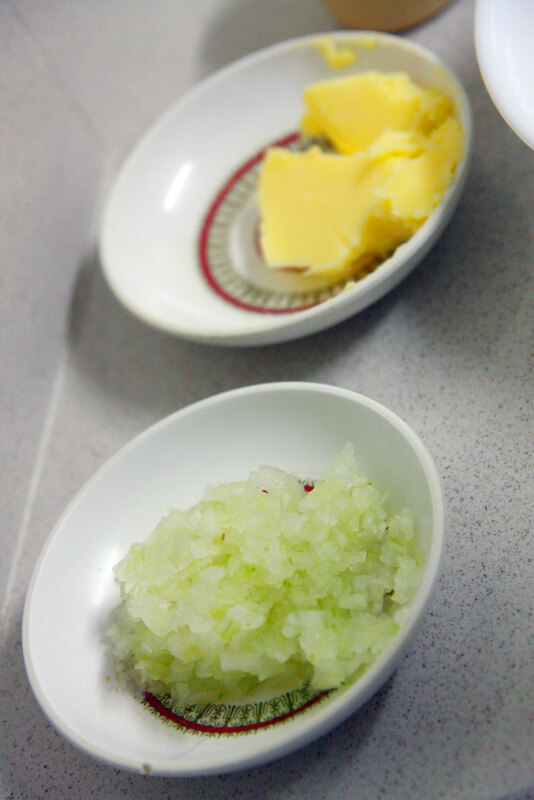 Next saute onions in butter for the soffritto which forms the base for the rice to be cooked in. These are cooked together with the dry rice in the pot with a small cup of wine, a process called tostatura or “toasting”. This ensures the rice grains are evenly heated up for the next step. That is where we slowly add stock to the rice, 1 cup at a time, stirring it constantly into the rice until all the liquid is gone then repeating with another cup of stock. I used chicken stock with a bit of liquid from the pan of scallops after I had seared them. 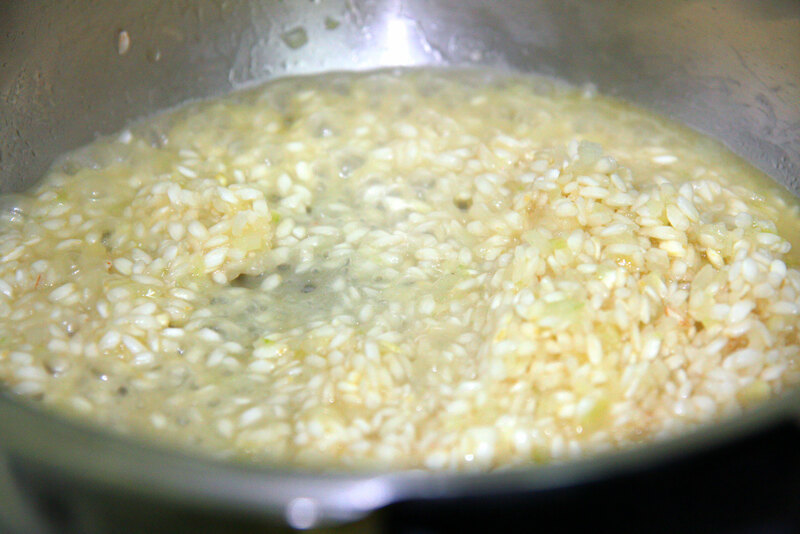 Finally after the texture of the risotto is smooth and moist but the grains are just before fully cooked , we rest the risotto for a while so that the temperature drops and the grains can become al dente. Last step is the mantecatura, which comes from ‘butter’. Here butter and parmigiano-reggiano cheese is folded into the risotto to emulsify the rice and make it reach a rich and creamy texture. 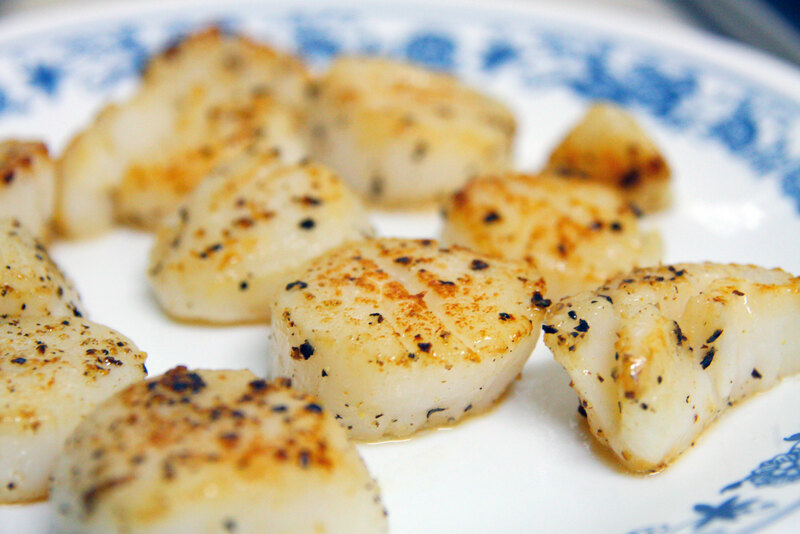 Seared scallops are pretty easy to make. Just season with black pepper and salt on both sides, arrange on a screaming hot pan and don’t touch them. After a while flip them over again and leave it until you see the crust. Then take off to rest. Now just put them on top of the risotto and that is my seared scallops risotto! 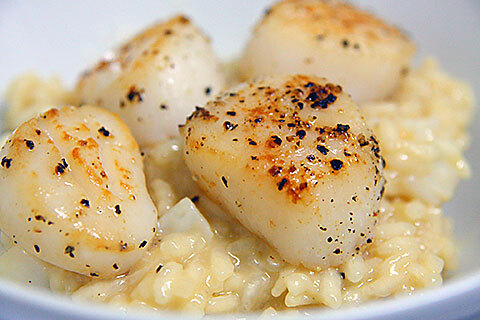 9 Responses to "Seared Scallops Risotto"
Thanks for the compliment! Haha yah but now I also know why they charge so much for risotto – it’s a lot of work lol! i love risotto and yours look perfect! after comparing sushi rice & arborio, i’m now using the former coz the taste/texture is almost same and its alot cheaper! Thanks! 😀 Yeah actually now I also found out that sushi rice and arborio rice are quite similar, enough to be used as substitutes. Probably going to use that in future for risotto! The scallop looks amazing over risotto. It sounds so delicious. I have to try this!